When you wake up in the morning what’s the first thing that comes to mind? I used to think about about my to do lists, what I needed to get done at work or at home. I read a devotional that said the first thing you should be thinking about is thanking God. Not thinking about how the day is going to go or what you have to do but just thanking God for waking you up today. I am not talking about doing a devotional this is even before you get out of bed. I thought I was doing ok because I got up everything morning and did my devotional but sometimes it would take my brain time to slow down from whatever I was laying in the bed plotting about before I started doing my devotional. This way I am in position to receive the word from God. I am not rushing through my devotional as much and it helps me connect more to the material. This literally takes no time but it changes the entire perspective of my day. 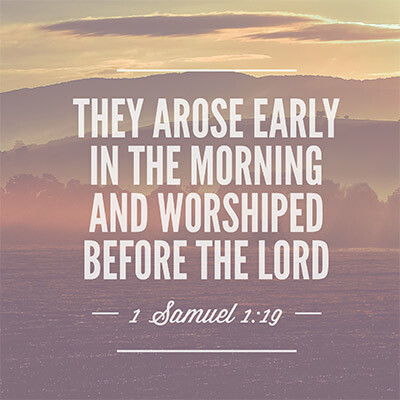 Next time you get out of bed, just thank the Lord for waking you up and for new mercies,then go do your devotional or carry on with your morning routine. See if that makes any differences for you. Let me know how it goes. I saw this post on Instagram and it hit me like a ton of bricks. May was an interesting month, my motivation was all over the place, home life was crazy in a good way. I did a lot of volunteering at the church with the food pantry which I really enjoy. All that leads to me slacking on my writing. The good news is that I, I saw it coming and have been writing like crazy so I will back on my regular posting schedule in June. I am going to be out of the country for a week in June and traveling for work for a week so I am going to try and schedule some posts out. My biggest problem is that I write when I feel like it. If I want to take this as far as it can go I can’t be mediocre about reaching my goals. In my work life I go hard All the time so sometimes it’s hard to come home and work a hobby as hard. I really enjoy it though so I just have to put in more time. I wanted my writing to be natural and organic. Some structure is not going to kill me nor is being more disciplined. I know I seem wishy washy but I’m not. I’m just feeling things out. All this is very new to me, a year ago when I bought this domain I never thought I would be here. I am just trying to figure this out. I look forward to June and all the cool things I’m writing and the adventures I am going to have. Anybody have anything fun plans happening this summer? I am also going to see Beyonce and Jay Z this summer which will be amazing!! !